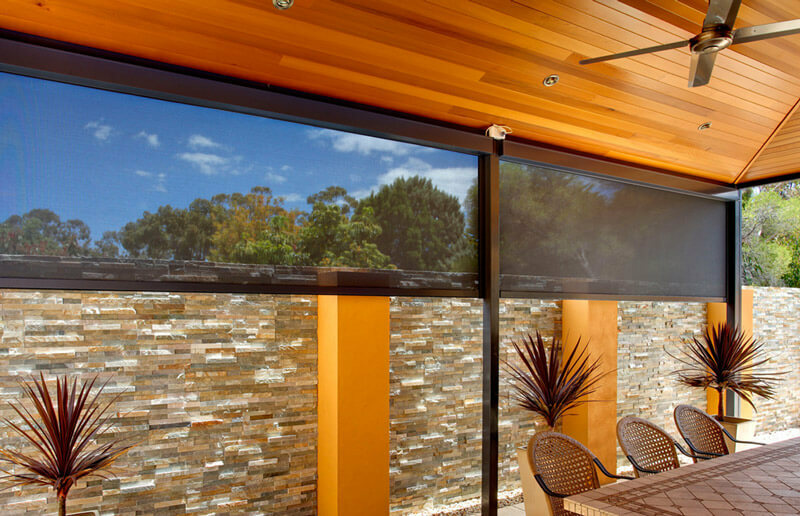 For clients who favour privacy, and look to enjoy their outdoor area all year round, the Zipscreen Blinds System is the perfect solution. It’s a low maintenance and highly durable product. Specially designed for alfresco entertaining areas such as pergolas, verandas and balconies, it offers privacy and protection from the sun, wind, rain and insects all year round. 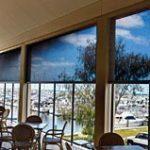 Also ideal for home and office windows, it serves as a sleek, secure and durable alternative to traditional awnings and outdoors roller shutters. 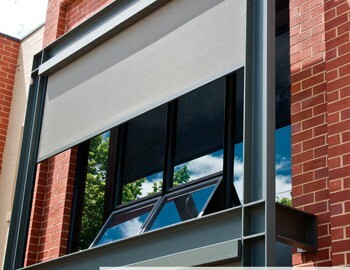 Strong and durable, our Zip screen blinds offers protection from the sun, UV rays, rain and gusty winds. 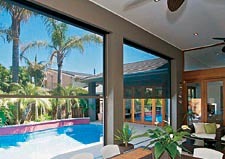 In addition, it’s secure, custom-made fit can be drawn to provide a 99% insect free environment to rest and relax in. Suited for a wide range of conditions, it is the perfect solution for any outdoor residential or commercial application. 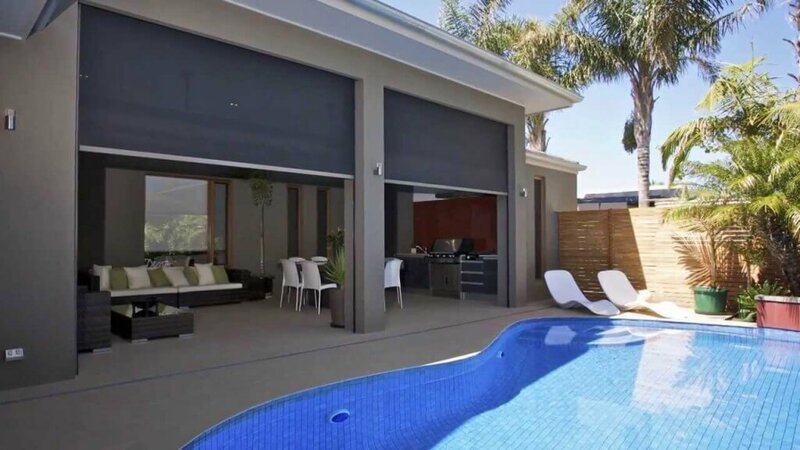 With functional wide retention capable of producing up to seven metres of shade (width) and five metre drops, the zipscreen blind system utilises stainless steel hardware and aluminium tubing Our Zipscreen Blinds will ensure that you receive your desired level of privacy for your entertainment area which can still “breathe”. All Zipscreens have No Straps, No Ropes, No Pullies and No Stitching. Our outdoor blinds also tend to stick and jam less under the elements. It’s simple yet stylish design improves the presentation of any home or office, defining outdoor areas and extending your entertaining space from your kitchen or lounge. It also provides a sleek external finish to any window. The zip is professionally welded into the fabric of the blind which makes it far less visible than other zipscreens. 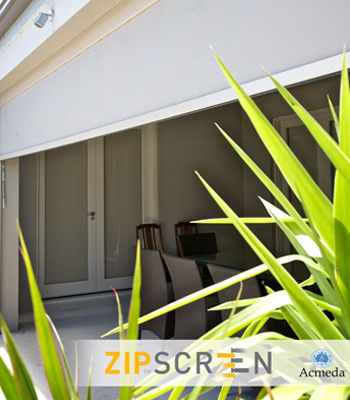 Zipscreens can help regulate temperature and make outdoor areas much more enjoyable, especially during periods of extreme weather and extreme elements (think the middle of winter and the middle of summer). This can mean more late night dinner parties, outdoor entertainment and even outdoor office meetings. For small cafes and restaurants, this can help with accommodating more customers in outdoor settings and assisting with overall turnover, especially if nearby cafes and restaurants do not have the same outdoor settings. Functional, compact and easy to install the Zipscreen Blinds System is made with only the best quality external grade extrusions. It has superior hold, and to give all customers further peace of mind is backed with a 5 year warranty by Acmeda – an internationally recognised Australian company with over 20 years expertise.